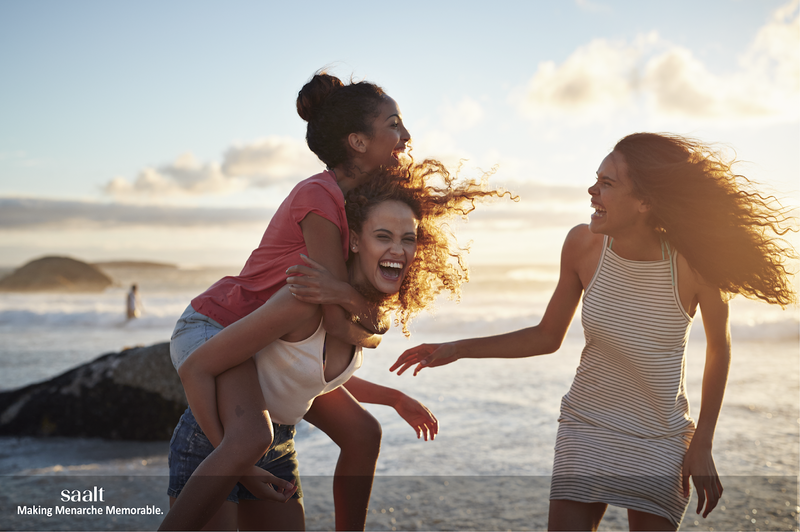 Investing in women is the fastest and most effective way of changing a community especially when they are young. 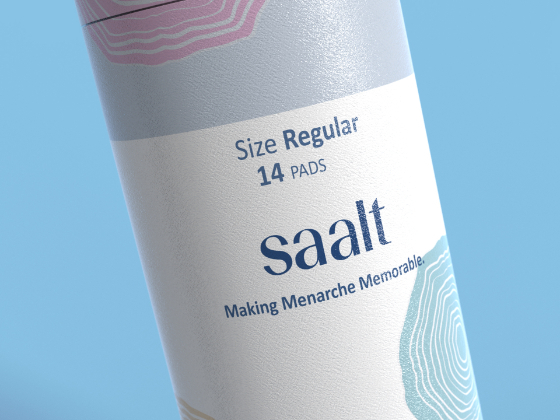 Saalt- 3M Period Care Kit is a conceptual project focused on subtle, elegant, gender-neutral graphics intended to make menarche a sweet memory. The choice of subtle minimal graphics that is non-eye-ball-catching, makes the design compelling purchase for young girls who can get periods anytime and anywhere. A clear visual hierarchy is followed that goes well with the compactness of the design. Intricately designed graphics with empowering women messages provide a touch of distinctiveness. A neatly designed period guide booklet explains all the nuances of handling periods the first time. 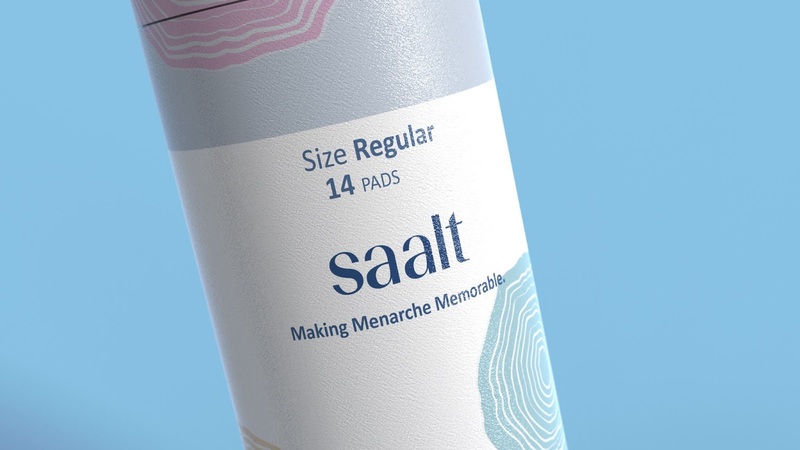 The aesthetic refinement added to the new packaging enhances its usability and sustainability. 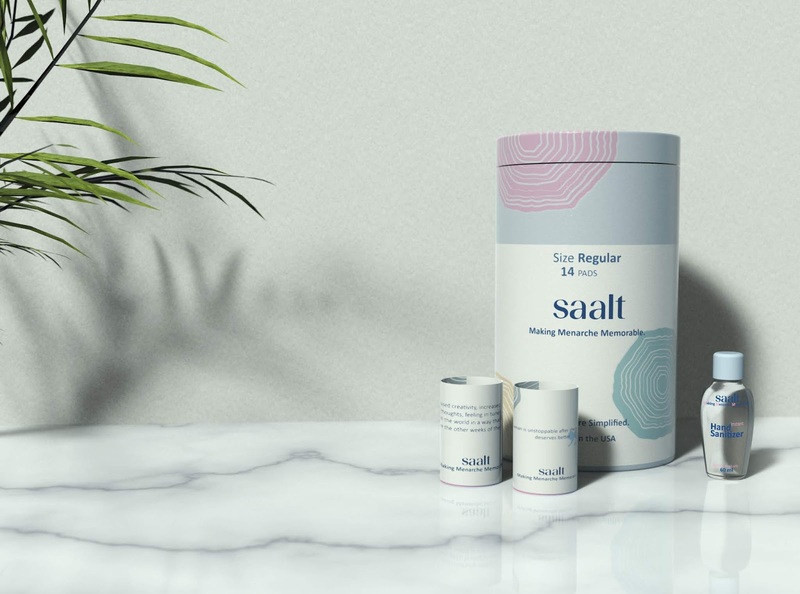 Saalt co. offers an elegant selection of organic pads and liners for women of all ages but recently launched a period starter kit, designed especially for young women. 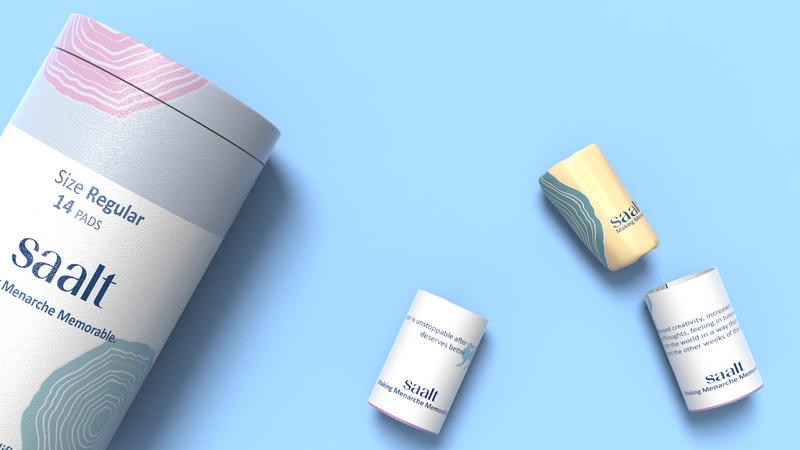 The kit comes with a naturally extracted sanitizer and a matching cosmetics bag that discreetly slips in her locker, backpack or purse.